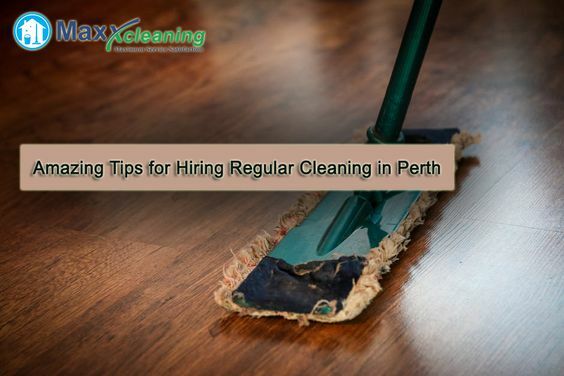 Have you ever hired a company offering regular cleaning in Perth? If yes, were you highly disappointed with the results? Well, not all cleaning companies offer you exactly what they promise. So, to avoid it all you need to find the best company that would offer you all types of cleaning services as per your need. Here are some things you need to keep in mind when hiring such professionals. 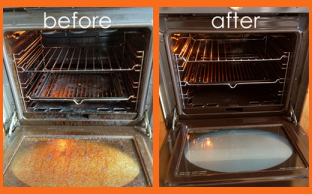 When searching for the best oven cleaning service in Perth ensure that you don?? ?t hire one company right away. Since, there are many companies offering you similar services, talk to at least two or more cleaning companies and then hire the one that suits your requirement. For instance, if you are planning to hire from the same company for different services, ask if the same cleaner would visit or they rotate the staff. Hired a cleaning service? That?? ?s a great thing. But what if any accident occurs, who would bear the expenses? What if the cleaners break something at home? To avoid it all it is essential that you hire from a licensed and insured company offering regular cleaning in Perth. This way you need to worry about anything and get the work done on time. When hiring from a renowned cleaning company ensure they provide you a detailed list of the services included along with the price list. Ensure that there are no hidden costs involved. To avoid paying a big amount ensures that you hire professionals from a company and not an individual. When hiring oven cleaning service in Perth ensure that you keep them informed about allergy problems if you have. Also, if you have pets at home, inform the company about that as well. This would help them use the right products during cleaning process. Apart from this, the cleaning agency might invest a lot of time in cleaning your home if you have a dog that sheds more fur. 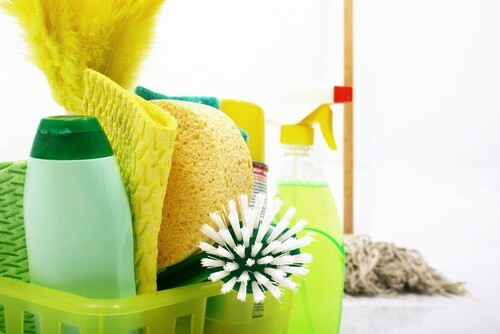 Most people clean their homes and business on a regular basis. But whether you decide to do it yourself or hire professionals to do it, the end result isn?? ?t the same. Normal cleaning doesn?? ?t give you the result of a thorough cleaning. However, in order to maintain the health and hygiene of the family most people are now opting for regular cleaning in Perth with the help of trained professionals. Why hire professional home cleaners? When you talk about cleaners, there are professional cleaners as well as certified cleaners. You can hire cleaners, but it won?? ?t give you the desired result if they are not experienced and certified. In simple words, if you hire certified cleaners, you don?? ?t need to worry about anything and they provide you the best possible service. Not just home cleaning, these companies also provide oven cleaning service in Perth. What areas require regular cleaning? Fabric and upholstery require regular and thorough cleaning and when it is done by expert professionals the results are really good. In fact, regular cleaning of furnishing and fabric also helps restore the furniture?? ?s extended life, appearance and keep in good condition. When it comes to house cleaning, kitchen is a very important part. In fact, just like other parts of the home, kitchen also enhances the appearance of your home. A dirty kitchen is enough to create a bad impression among visitors. These professional cleaning companies also offer oven cleaning service in Perth. Professional companies also offer hard floor cleaning as part of regular cleaning in Perth. Since many people choose hard floor since they are easy to clean and maintain, the professional service also ensure that you can make the most of it. Just regular mopping isn?? ?t enough to restore the quality of the floor and this when the professionals step in. The experts have the right training, knowledge as to what chemical to use, what equipment or tool to use as well as what procedure to use for the specific job. There are varied kinds of ovens being used in households and that is why, it is very important to find out what type of oven you have before you commence to clean it. The food usually boils at the bottom of the oven and the temperature in the particular oven might be high and you can?? ?t risk turning it off and get rid of the mess. The absolutely superlative approaches that you need to do are stand aside and wait for the particular to cool off before it is cleaned. In order to carry out a perfect cleaning it is being advised to seek the help of a professional oven cleaning service in Perth. While a professional oven cleaning company has finished the oven clean it can literally be back to near showroom conditions gain. Frankly speaking it will not be looking absolutely superlative but will definitively smell much fresher. At the same time utilizing the services of a professional oven cleaning company can surely have the tenacity of preventing a particular oven from becoming a potent fire hazards. It happens due to the creation of fats and grease deposits, particularly near the heating element. Off late oven cleaning system uses environmentally friendly, caustic and solvent free approaches and products. This has couple of major advantage. These advantages are that there are no noxious fumes to worry about during the process of cleaning and secondly the oven and other appliances are completely safe to clean and use as soon as the task is being completed. While trying to clean your own dirty oven you might think that you have got into all the places where the fat and the grease have accumulated but this is not really the case. Humongous amount of deposit get behind the linings of the oven and these need s to be removed to clean behind them in a thorough manner. A professional Perth cleaning agency will generally be removing all trays along with shelves and linings and then it will be placing them in a heated and de-carbonizing unit in the back of a van or in a truck. They will be left in the unit while the operative returns completely clean the interior along with the exterior of the oven. This generally includes cleaning of the oven door and the oven glass and where the necessary replacement of the door seals and interior bulb is being needed. The oven is often one of the most neglected possession by all and sundry. We normally do really take up the heed of cleaning an oven and yet we complain while it emits smoke and impairs the flavor of your food. While you are busy, cleaning the oven might not really be the top priority, so all you need to do is call up a professional that would take up the onus of helping you out in making your task much more easy. Listed below are few of the advantages of regular oven cleaning by hiring a professional. Saves maximum time- It is to be noted that cleaning the oven is not a job that would be accomplished in a time span of ten minutes. 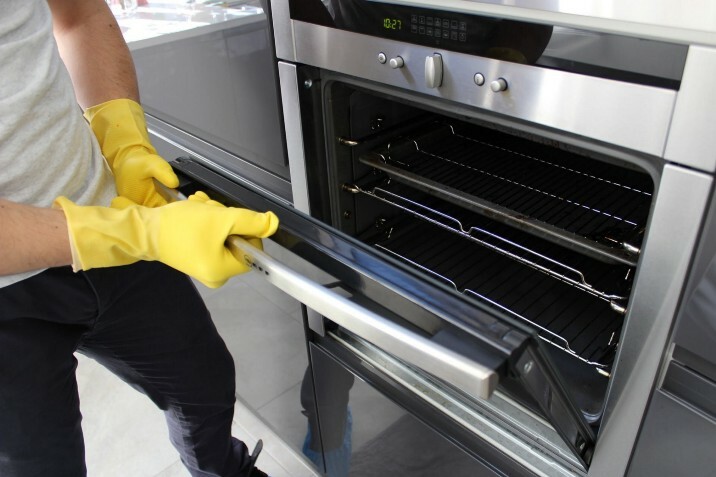 In order to make your Oven and bbq cleaning in Perth seamless, it is being advised to seek help from a professional company. The skilled professional will be having the corrective knowledge and more importantly, they would be having all the major tools that can make the task easier and get completed within a stipulated frame of time. Saves money- At times you might be thinking that hiring a professional cleaner can turn out to be quite expensive. But considering the entire operation into account it can be said, that it is less expensive. It is because you will not have to take up any such heed of cleaning. More importantly, you will not have to purchase anything extra. All would be brought about by the professionals themselves. Decreases risk of fire- If you carry out the task all by yourself, at times you might not know whether the task has been accomplished or not. So it is best that a professional cleaner carries out the task all by themselves. They are aware to doing everything in a perfect manner. It decreases the risk of fire and increases the longevity of the oven. Eliminates smokes and smells- A proper Perth Cleaning Agency allows food to lasts for hours and the food will not smell foul. At the same time it increases the longevity of the kitchen. A smoke filled kitchen is sure to make the kitchen brittle. So make sure that the oven is cleaned to effect so that it increases the tenacity of the kitchen.